I am not entirely sure if and when I should tell you about this. This subject is not exactly easy for me to recall let alone explain. But I believe it is better for me to try and educate you about this rather than have you discover it on your own. Your mother has been in a recurring battle with anxiety and depression. I think I’ve had symptoms since I was younger but I wasn’t clinically diagnosed until three years ago. The anxiety diagnosis came first: I sought medical attention, thinking I was having a heart attack, only to find out that my worries related to work and finances were taking a toll on my body. I had an irregular heartbeat which, according to the doctor, was most likely caused by anxiety. I took medication to correct the irregular heartbeat and had another prescription to help with the anxiety. But the anxiety worsened because I knew that with or without medication, I still had to face my triggers: demanding work hours, pressures from stakeholders, nasty coworkers, and a general fear of failure. I couldn’t find a new job and I couldn’t quit without options so, that’s when the feeling of helplessness kicked in. I felt so trapped and powerless that I wanted to give up on life. Twice, I went to an Emergency room, the first time because I wanted to kill myself and the second time because I attempted to. That was when the depression diagnosis came. Twice, I was confined in a behavioral health facility. After release, I had to participate in individual or group therapy and find my own psychiatrist for continued medical treatment. I went on short-term disability and eventually quit my job to try and get better. People that knew about my condition were mostly supportive. But there were a few that might have had good intention yet weren’t helping at all. For instance, I have been told to “just relax,” “shake it off” and “medication is not the answer.” These kinds of comments are misinformed and tend to diminish a very serious health concern leading to tens of thousands of deaths, in US alone, every year. Your father. Moving to a different country, away from family and friends had taken away majority of an established support system. But your father has been my rock, my constant. During my darkest times, my episodes, he has been strong for me. He encouraged me to hold on until things get better, and somehow, things do get better. Prayer. I am so thankful for how my mother and one of my best friends have influenced me through the years, to reconnect with a Higher Power, in times of hardship as well as success, in sorrow as well as celebration. Talking to God may not solve all my issues but it makes me feel better believing He is there, always looking after me, always loving me, always listening. Reading. During my stay in the behavioral health facilities, your father brought me books to read during his visits. This was how I was exposed to Lois Lowry’s “The Giver” series. During my unemployment, I frequented a town library in search of good literature and came across the works of Haruki Murakami. Reading transports me to other worlds, giving me a much needed break from worrying about reality. Exercise. Murakami’s book “What I talk about when I talk about running” inspired me to try running. I also took interest in yoga, going as far as taking Bikram classes. I bought a cheap stationary bike and broke it from overuse. Then, later, I bought a road bike. I never became too competitive in these activities: never went beyond 5k events, never beat 13 minutes per mile on foot, never pulled off crow pose or headstands, never rode my bike outside of leisurely speeds. Still, all these things kept my body active, gave me the physical energy to fight off my mental and emotional demons. I am barely mobile now that I’m pregnant but don’t worry, Son. I hope to keep up with our morning walks for as long as I can. Our cats. Like I mentioned before, Oreo came during one of my episodes. She was a tremendous source of joy and comfort. I am happy to update you that she is recovering well from her Stomatitis. Much of the gum swelling has subsided and her appetite is back to normal. She may have a lot less teeth now but she seems to be a nicer, sweeter cat because she is not hurting like she used to. I would be lost without her. She and her sister Reeses are my therapy cats – being around them calms me. You. The pregnancy started out rocky… with my Hyperemesis Gravidarum dragging on for 20 weeks. Now entering my third trimester, I am woken by Charlie Horse in the morning, deal with pains in my lower back, hips and shoulders through the day then, suffer from acid reflux at night. I struggle with overall movement and miss my old agility. But you know what? Now that you’re big enough, every time I feel a kick or jab from you, all these annoying and sometimes aggravating things about pregnancy and life in general… fade away. I do get worried about what the heck I’m going to do when you come out but judging from your power to make me feel wonderful while you’re still in my belly, I’m assuming that being able to see and hold you could only be so much better. A mindset: there is always a way, a path, an option – whatever you want to call it (other than giving up on life). This realization has not been easy to come by or embrace. My triggers pushed me into a hole. Depression and anxiety covered the hole, cloaking it in blinding darkness and paralyzing cold. The hole was too deep for me to climb out. I thought, I’m stuck with nowhere to go so, I might as well die now. The hardest part had always been finding the motivation to look pass the apparent hopelessness of any given situation… just enough to start inching my way out, just enough to seek other exits I never noticed or considered before. 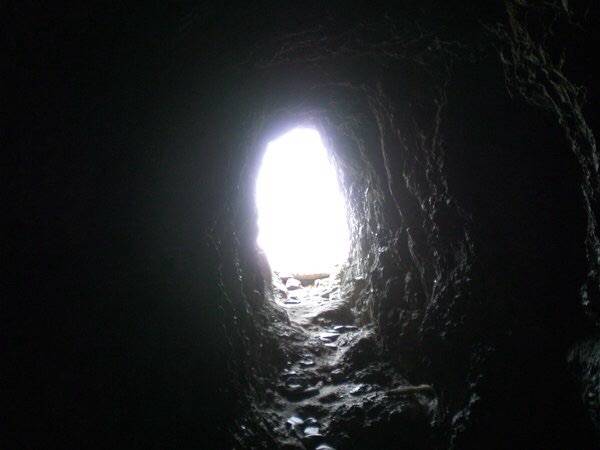 Most of the time, I got too fixated on not being able to climb up that it took me a while to see the tiny light at the end of several tunnels surrounding me. Finally, a habit: of constantly finding and remembering more reasons to live. I haven’t fallen into a major episode this year and fear that postpartum, I might. But I know that you are one more reason for me to keep living and if/when that time comes, I will fight my hardest to get the support I need. Hi Jen, sorry for late reply. Thanks sa prayers and well wishes. God bless you, you are so kind for remembering me.